pork belly, shoulder, etc. (about 1 lb 5 oz), carrot or potato, cut into large chunks, small onion, sauerkraut, drained (enough to cover pork), white wine, caraway seeds, whole cloves, bay leaf... 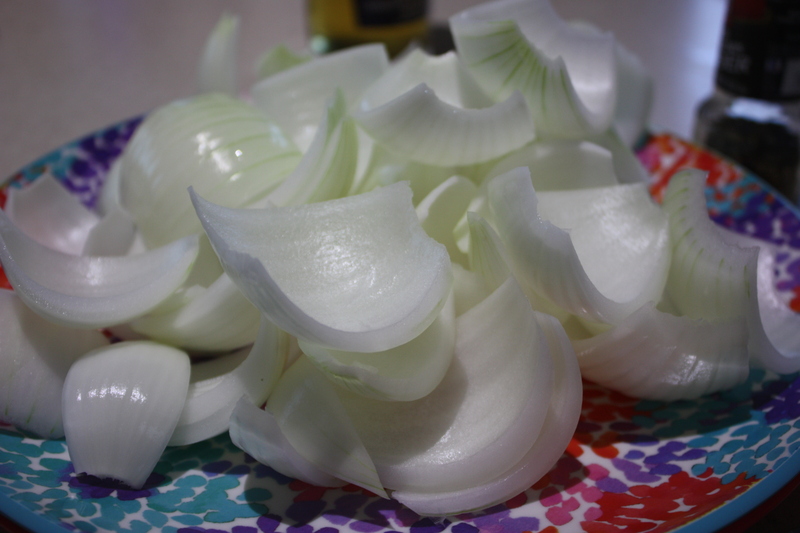 There are tons of ways to cut an onion, but after cooking for over 23 years I’ve found that there are really only four ways to cut an onion that can cover every dish you will ever need onions for (Julienne, dice, large chunks and onion rings). So the trick is to cut a cone at the bottom of the onion (about one third of the width of onion and a third depth), as shown in this video, and then you will be able to cut with the rest confidence further. Place the onion upright on the flat cut end. 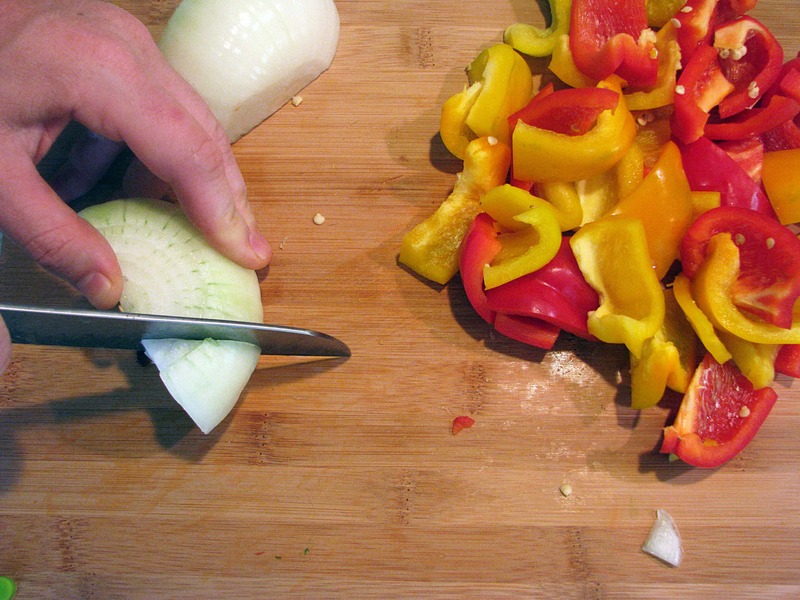 Hold it still with one hand, curving your fingers inward slightly, and cut the onion in half with a downward cut. Peel the rest of the skin and the tough outer layer of the onion off each half and throw the removed parts away.